Are you involved with a local youth group and looking for an exciting evening activity? 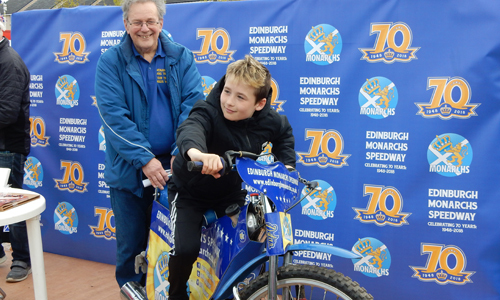 In association with the Monarchs Fans Trust, Edinburgh Monarchs Speedway is aiming to grow its community links and is looking to engage with clubs, groups and sports teams based in the local community to offer a free evening out at one of our speedway matches. Speedway is a spectacular, family-orientated, motorcycle sport that pits two teams of seven riders against each other over 15 heats of action. All of this takes place on an oval dirt track that is about the size of a football pitch. It is thrilling handlebar-to-handlebar action as each team battles for the win. Your local team, the Monarchs, are based at Armadale Stadium in Armadale, West Lothian, EH48 2PD with matches taking place on Friday evenings throughout the summer months. The Club would like to invite 20 of the children from your youth group plus one adult per child along to one of our matches completely free of charge. Dates are filling up fast, but get in touch for the latest availability. You can view our racenights in our Match Centre. If this free evening out interests you, get in touch with us at community@edinburghmonarchs.co.uk. 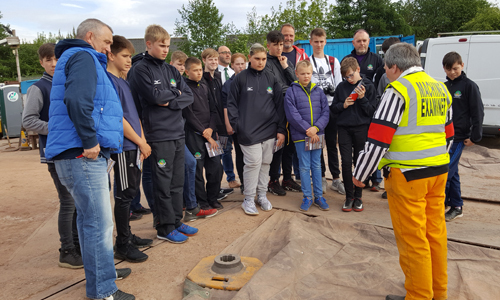 We look forward to welcoming your youth group along to sample some exciting speedway action!